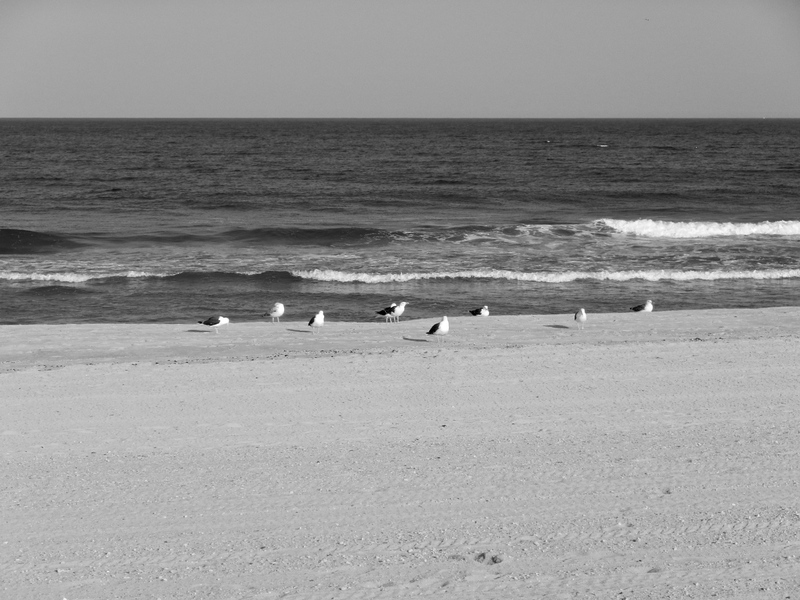 Known by many in the New York metropolitan area, Spring Lake, New Jersey is an upscale, beautiful shore town just over an hour from New York City and Philadelphia. From its tree-lined, perfectly manicured streets to its clean, sandy beaches, Spring Lake has lured visitors for over a century. Many of those visitors have become summer residents and year round citizens. Multimillion dollar homes along the beach. Since the mid 1800s, this seaside community has gone from a vacant shore town in the tides to an opulent, mansion infested, ocean village. 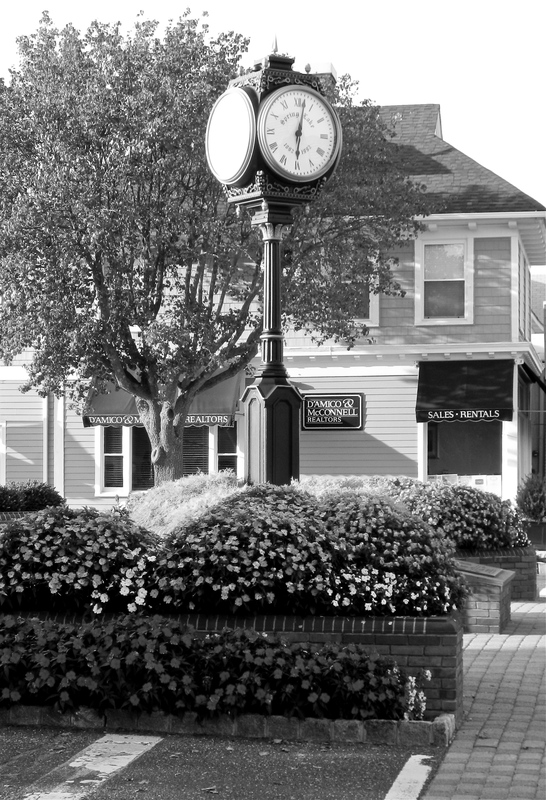 Originally spurred by the connection of the railroad system, the area has continued to grow in popularity and envy showcasing many boutiques, dining experiences, and of course, the beach. Most of the historic homes and local structures were designed by Philadelphia architects in the late 1800s and early 1900s. Among many of the original structures in Spring Lake are the remnants of the Centennial Exposition, which was held in Philadelphia. 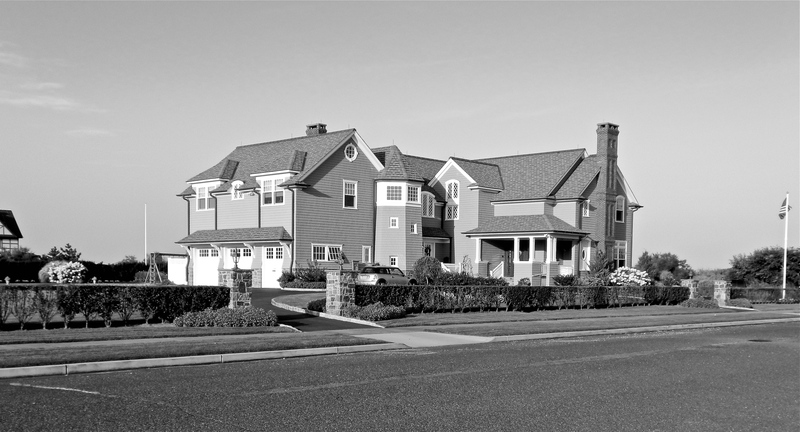 After its completion in October of 1876, innovative participants with the means of transporting large structures took the opportunity to buy and transport entire buildings to the newly desirable beach town. 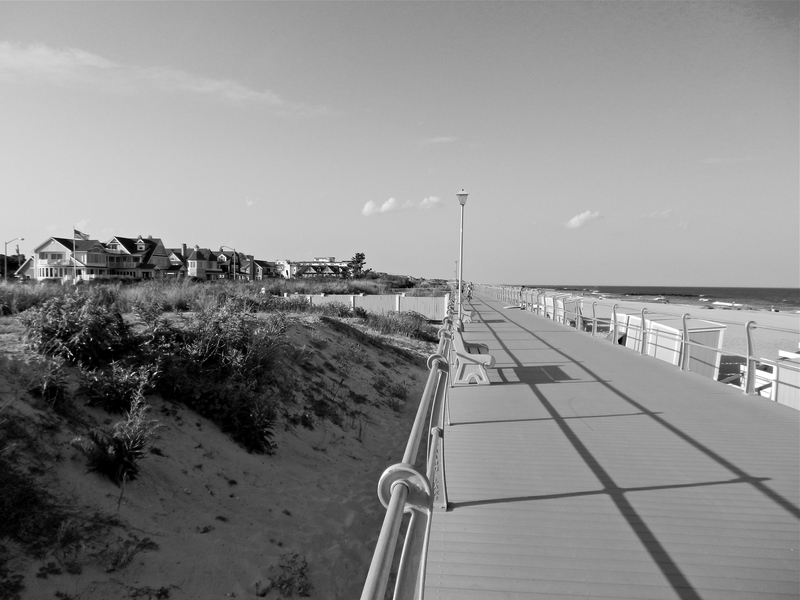 From what is now the longest, non-commercial boardwalk in New Jersey, spectators can see endless estates, which look plucked out from the bygone era. Nestled between two bookend bodies of water, Wreck Pond in the south and Lake Como in the north, many historic homes, hotels, and structures still stand today. 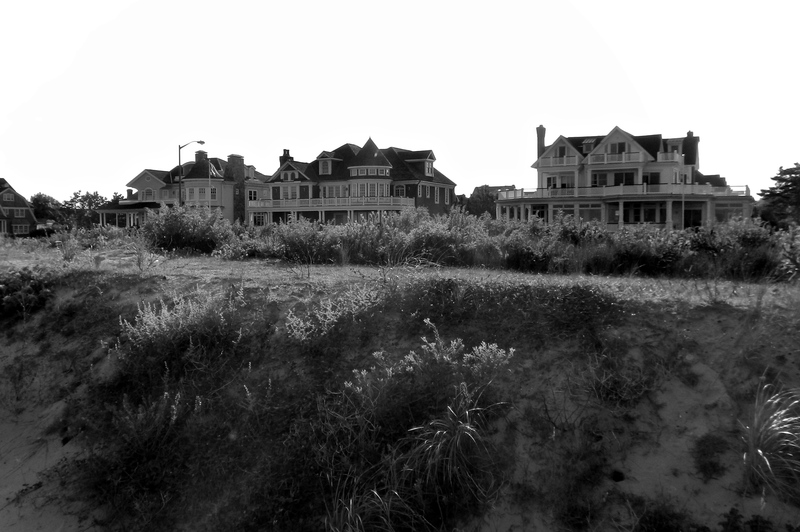 Beautiful water front homes peering over the sand dunes. 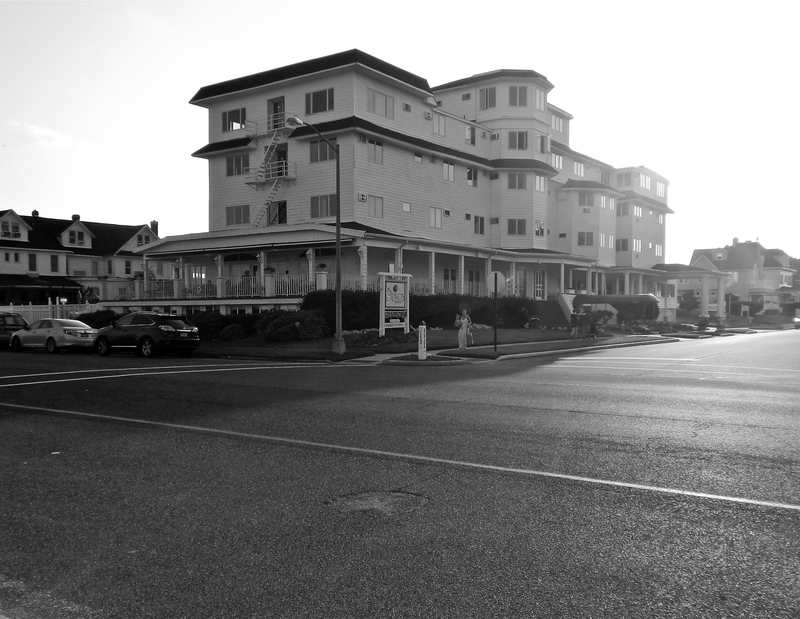 In 1876, the first large-scale hotel was constructed along the beach at the southern end of Spring Lake. 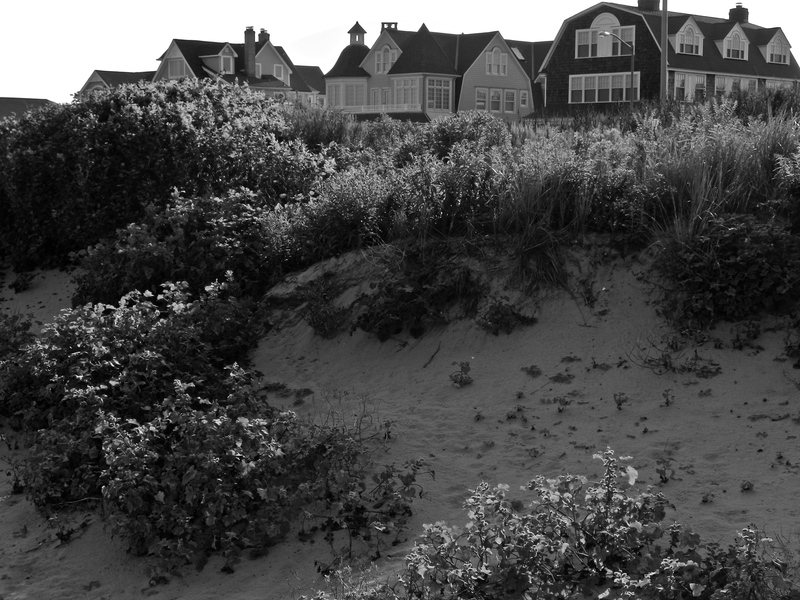 Having views of both the Atlantic and the spring, which Spring Lake earned its name, The Monmouth House became a largely successful, four-story retreat among summertime beach goers. Unfortunately, in 1900, a devastating fire completely destroyed the hotel designed by W. Hotchkiss & Barber. Another Large establishment was The Lake House. One of the structures that was transported from the Centennial Exposition, it served as a 92-room “family friendly” resort, but was later replaced with a public park in 1904. 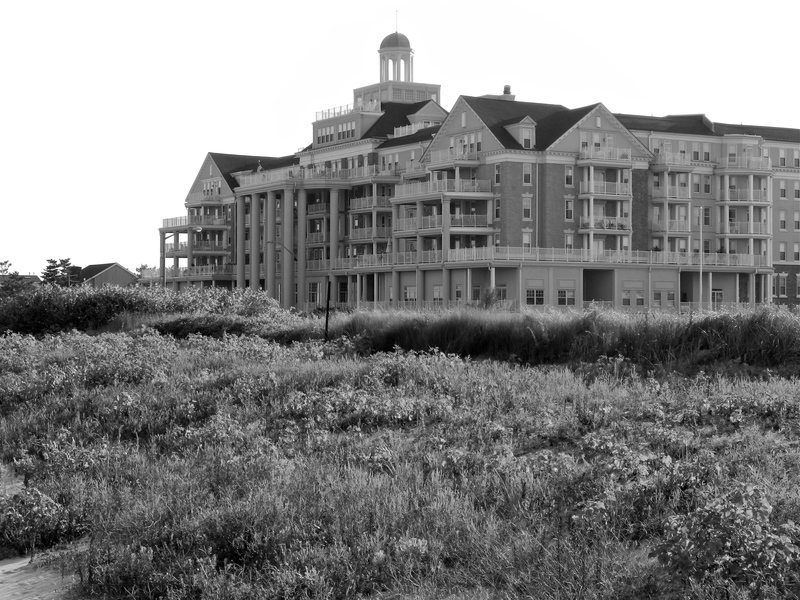 In 1903, the former grounds of the Monmouth House welcomed a newer, more extravagant hotel to the beachside community. The Monmouth Hotel welcomed its first guests on August 20, led by Rev. Alphonso A Willits. The beautiful hotel was designed by Watson & Huckel, but was torn down soon after its closure in 1974. When a new neighborhood sprouted up from the former footprint of the grand hotel, the first home incorporated a piece of the structure in its fireplace. The Essex and Sussex Hotel. Built in 1914, The Essex and Sussex, known as the E&S to those who frequent the area, was and is one of the most prominent, commanding structures in Spring Lake. 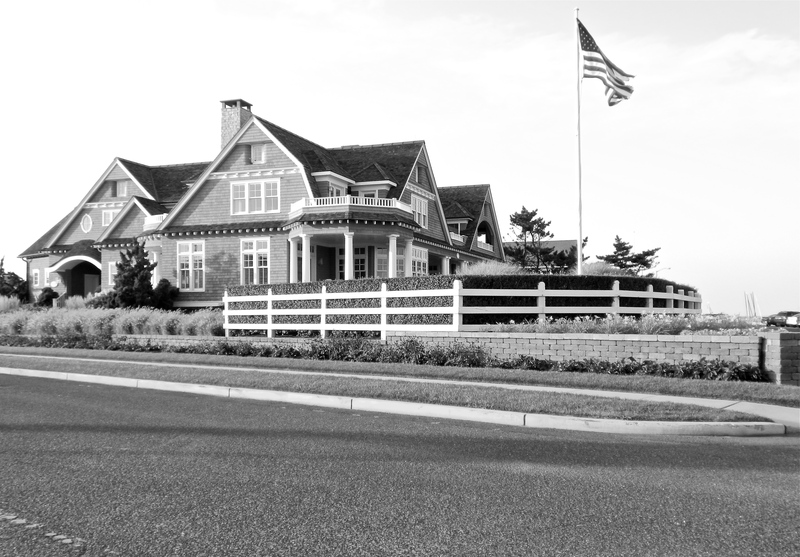 Sitting ocean front just north of the neighboring, affluent community of Sea Girt, the E&S has drawn the rich and famous, presidential leaders, and prominent society citizens for several decades. Currently, the building serves as an adult community with condominiums ranging from $500K-$1MM. The waters in front of the E&S where the tragic shark attack occurred. In 1916, the E&S unknowingly became part of a massive phenomenon that inspired one of the most famous movie franchises to this day. As Charles Bruder, a bellhop at the E&S, made his way down the steps and crossed the street to swim in the shallows, he never could has suspected he would never return. The 25-year-old was about to become part of a string of historic shark attacks occurring up and down the New Jersey and Long Island coastlines. Having both his legs removed and his torso shredded, he was dead before the lifeguards could row him back for medical attention. This, and the other attacks from that summer in the tri-state area later inspired the thriller Jaws and is regularly mentioned during Shark Week. The breakers Hotel in Spring Lake. Established in the 1800s as the Wilburton Hotel, it was later renamed The Breakers in 1905. This waterfront home last sold for $9.4MM. The original gate of the Ballingarry Mansion. Ballingarry was an 1899 estate owned by Martin Maloney. The breath-taking mansion sat one block in from the beach. The home was one of very few in Spring Lake to encompass one entire square block of property. 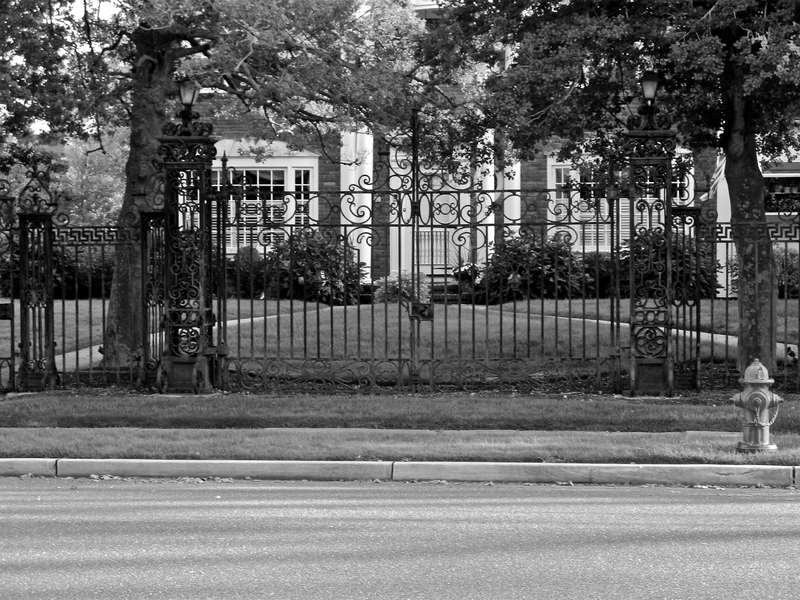 Surrounded by a 10-foot iron fence, the exterior was very reminiscent of the White House in the nation’s capital. Ornate rooms dwelled within the exterior walls housing elaborate moldings, grand fireplaces, and detailed ceilings. Like every grand estate, Ballingarry had a spectacular drawing room, beautiful library, and large dining hall. A large reflection pool filled with lily pads sat among the gardens and private sitting areas. Sadly, the home can no longer be enjoyed by spectators. In 1955, the home was demolished, but Maloney’s deed ensured that the reflection pool and fence remain untouched. Today, many homes sit where the former Ballingarry Mansion once dominated. The backyards of these new homes all center on the beautifully maintained reflection pool, and all homes are hugged by the same 10-foot tall fence. The new “Green Gables” last sold for just under $9MM. “Green Gables” was a beautifully constructed Queen Anne-style mansion settled directly across the street from the beach. 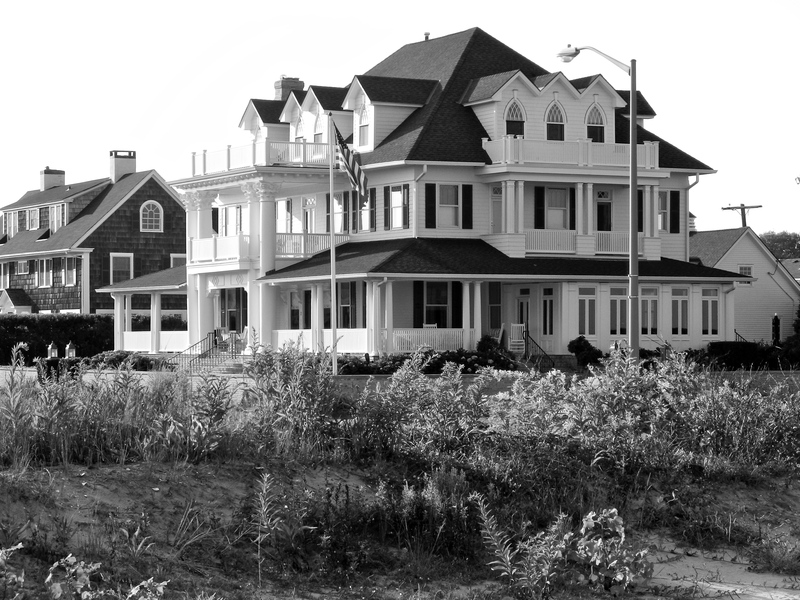 Originally constructed by Isabella Wallace, the stunning property was and is one of the largest in Spring Lake owning one full block of beachfront property. Recently demolished, the new home carries on the pristine look of the original property with gardens and extravagant hedge walls. The lake that gave the town its name. 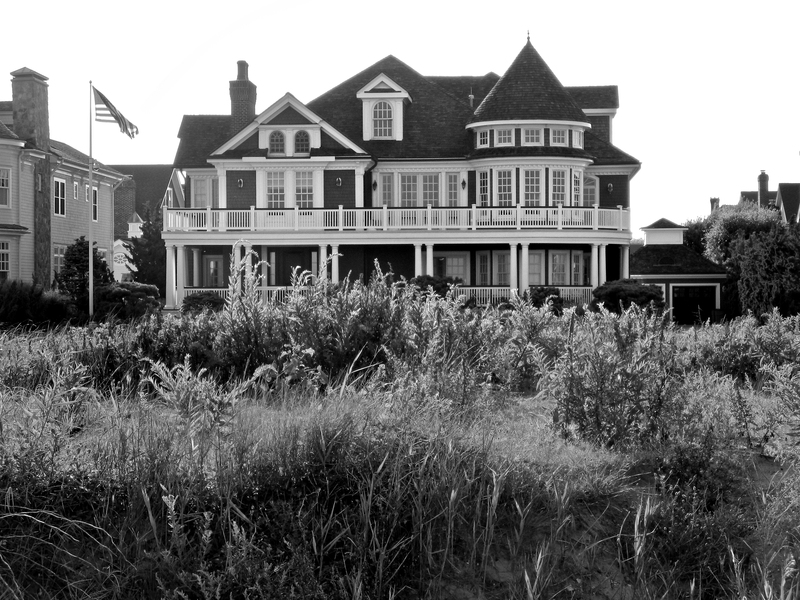 The 1960 home across the water is valued at $4.7MM. While a large portion of Spring Lake has been much like a puzzle of moving buildings and changing landscapes over the past century, one area has remained relatively the same since 1875. 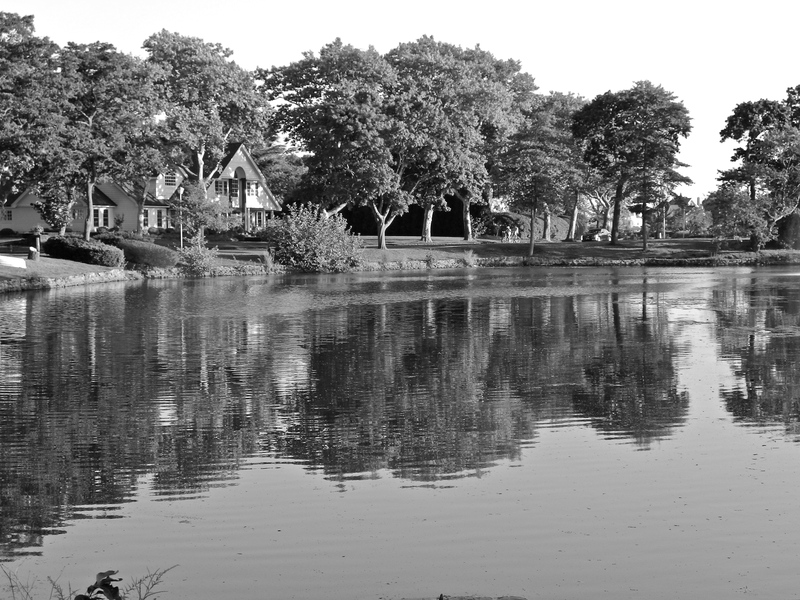 The spring-fed lake at the center of town and its surroundings were donated in that year by the Spring Lake Beach Improvement Company for recreational purposes. Soon after, landscaping began and walkways were introduced for the growing population to enjoy in the warmer months. The first plank bridge emerged in 1878, but was later rebuilt in 1914 allowing residents to cross over the small pool of water. Bridges can still be seen today with flocks of kids and the young at heart passing over on foot and bike. Several stores and restaurants line the road just across the street from the north edge of the lake. 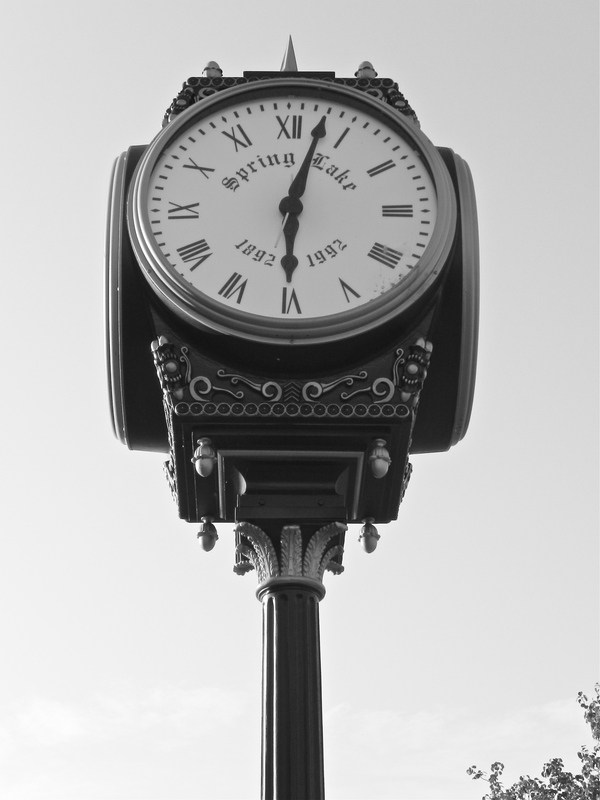 In 1925, the main drag of Spring Lake’s commercial area welcomed its final building and lured customers routinely to its dining experiences, various boutiques, and local necessities like banks and post office. Today, the busy street is still home to many stores and eateries that attract customers away from the beach momentarily on hot summer days. 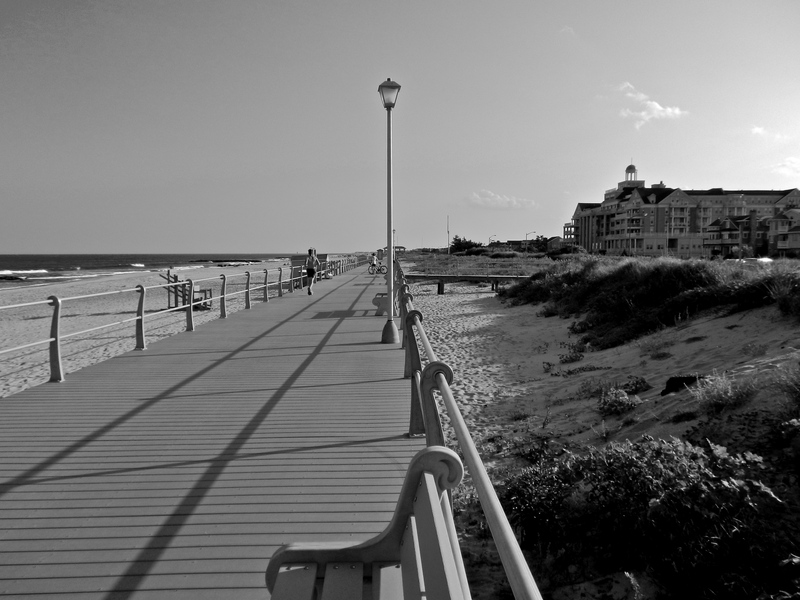 Spring Lake is one of the most beloved and picturesque coastal New Jersey communities. No matter what direction one looks, the site can easily become a post card. Since its origin, the beach, awe-inspiring architecture, and salty breezes have continually attracted tourists, summer residents, and the attention of the wealthy. The Gilded Age is long over- Spring Lake just never got that memo. $6.4MM home along Ocean Ave.
“Spring Lake New Jersey Chamber of Commerce, NJ.” Spring Lake New Jersey Chamber of Commerce, NJ. N.p., n.d. Web. 12 Sept. 2014. Colrick, Patricia F. Spring Lake. Dover, NH: Arcadia, 1998. Print. “How Will Your Story Begin?” Welcome to Spring Lake, New Jersey. N.p., n.d. Web. 12 Sept. 2014. Wonderfully reminiscent of Spring Lakes unique history. I have always loved Spring Lake 🙂 no other beach town has ever given me the same feeling.